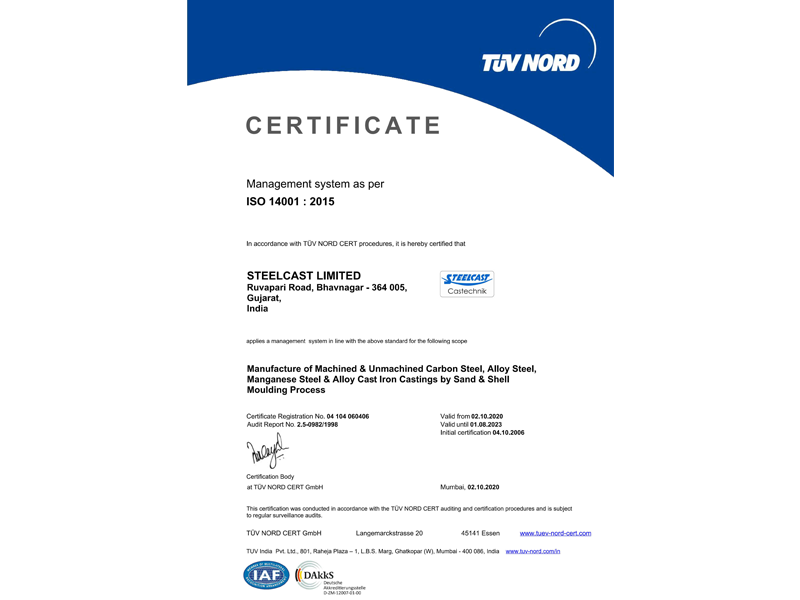 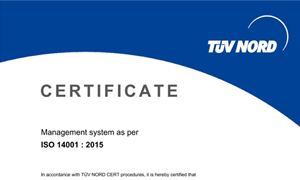 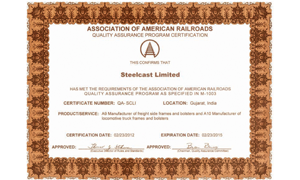 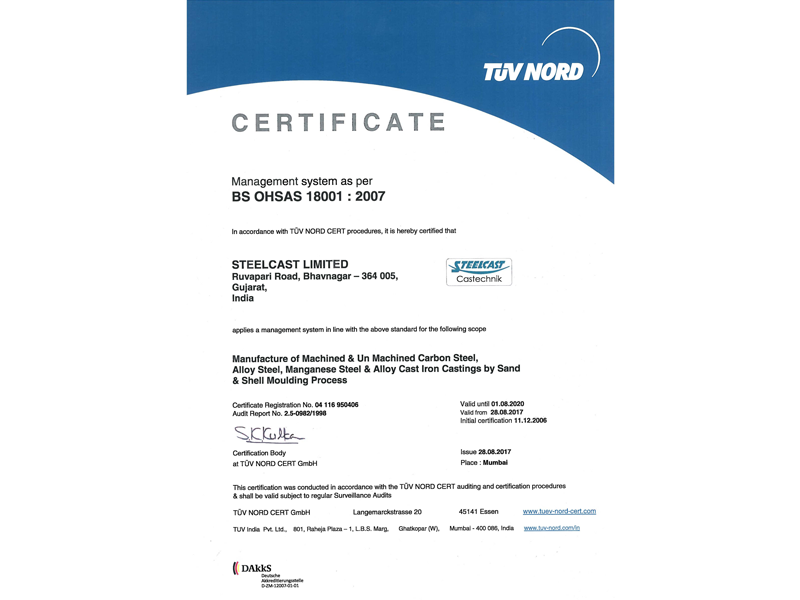 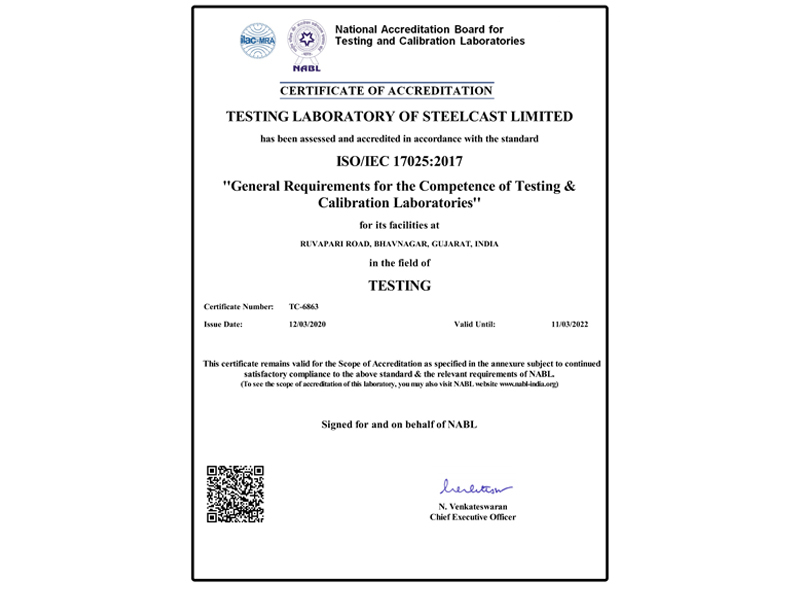 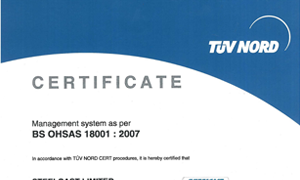 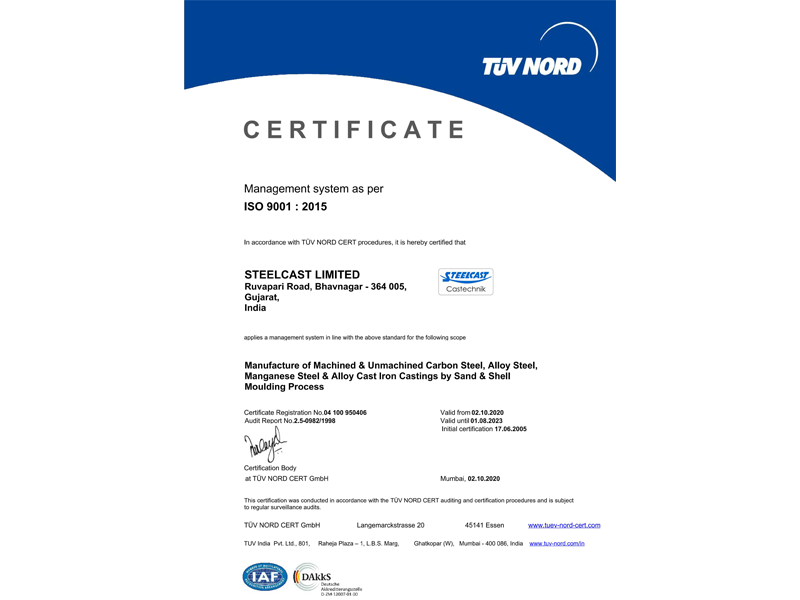 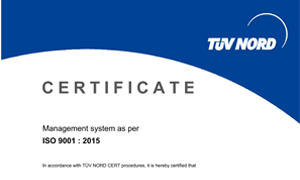 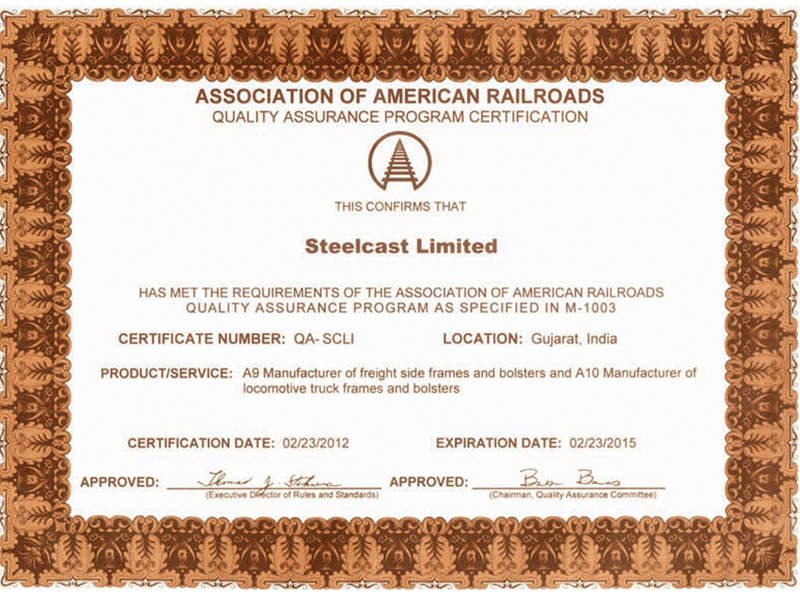 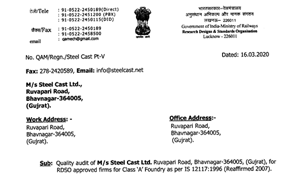 Recognitions & Certificates - Steelcast Ltd.
An OHSAS 18001-2007 Company certified by TUV NORD, Germany (for Occupational Health & Safety). 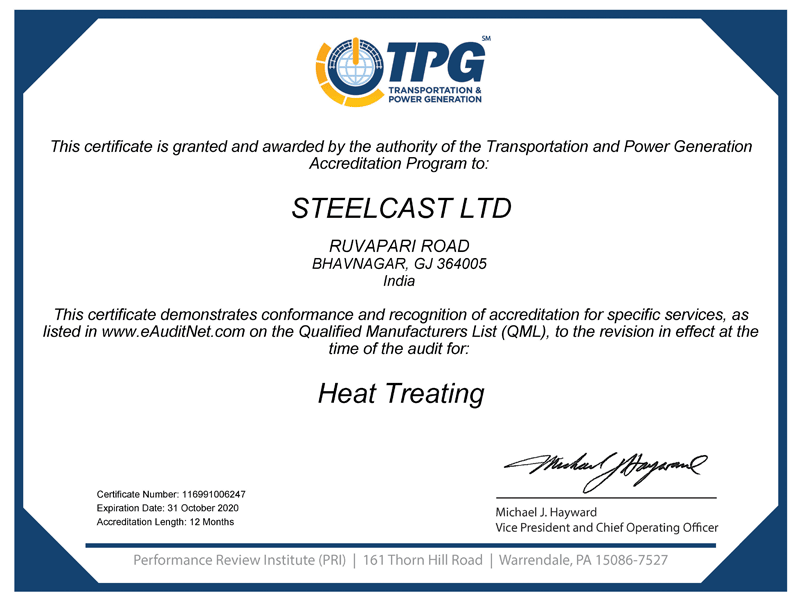 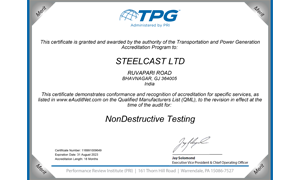 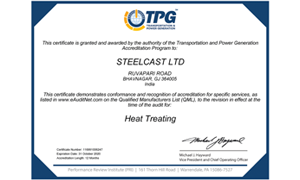 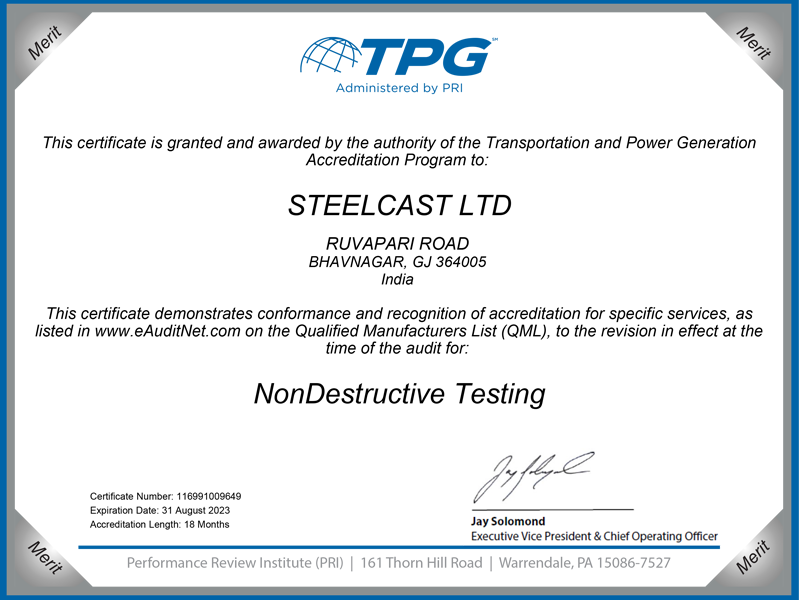 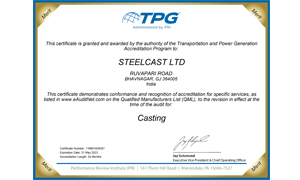 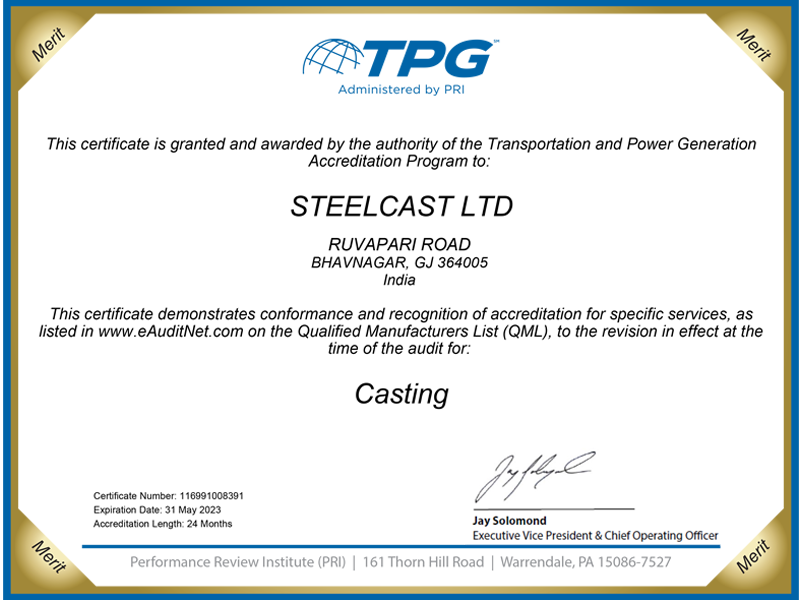 Accreditation by Transport & Power Generation program (TPG) for Casting, Heat Treatment & Non Destructive Testing. 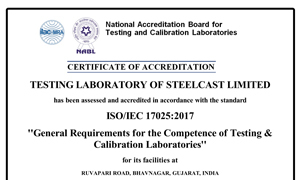 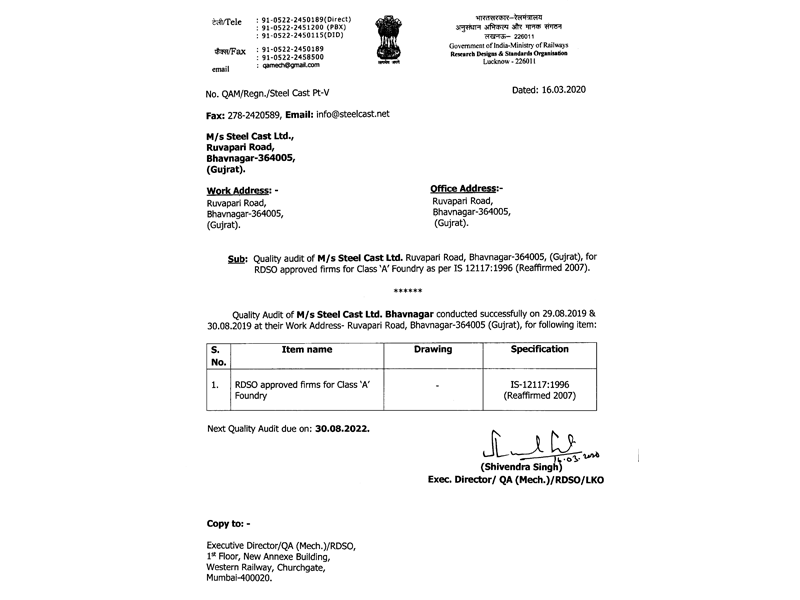 R&D Laboratory approved by The Department of Science & Technology, Government of India.